In case you missed it, we're big Ninja Turtle fans in the Longnecker household. I grew up with them, and now my kids are obsessed. We've watched just about every movie and television season we can get our hands on. And of course we've got all the toys. I'm pretty sure we have every action figure you can get. Or at least we thought we did. Recently I ran across these bad boys from a Japanese company called Revoltech (seriously, it's all in Japanese). Not only are the a near perfect sculpt of the turtles from the 2012 Nickelodeon series, but they are dang near infinitely poseable and come with amazing detailed weapons. Shoot, you can even pose their eyes or white them out for battle mode. Rad! I showed them to the kids, explaining that getting something like this wouldn't really be a toy you would play with all the time since they're delicate. But they still wanted them. So we surprised them for Christmas this year and got the whole set. Or maybe I bought them for myself. Anyway. P.S. 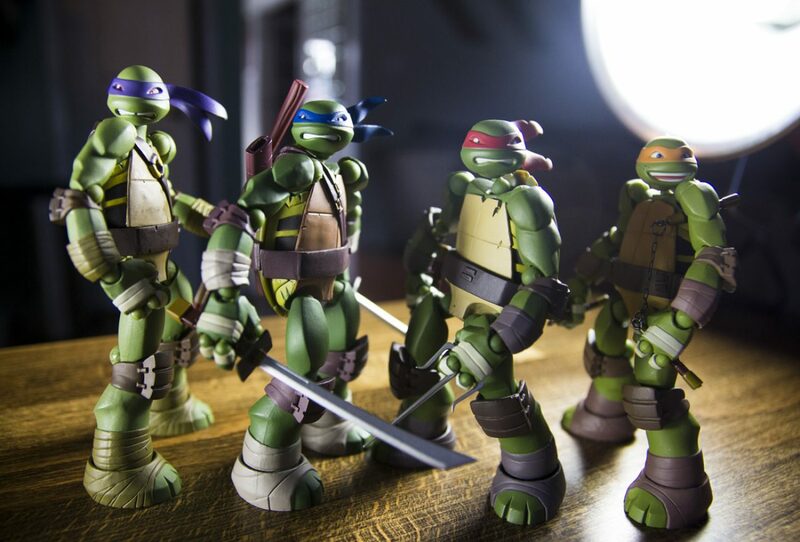 - if you want to grab your own set of these sweet Ninja Turtle figures you can get them here.